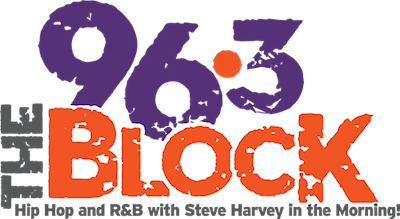 Update 10/21: The stunting has come to an end at Entercom’s 96.3 W242BX/WFBC-HD2 Greenville, SC as the station flipped today to Urban “96.3 The Block“. The 5pm launch came following a decoy announcement from “Simon” at noon to throw competitors off the scent. The new format positions W242BX up against SummitMedia Urban AC “107.3 Jamz” WJMZ and Rhythmic leaning CHR “Hot 98.1” WHZT. The new “Block” picks up the syndicated Steve Harvey morning show to compete against Tom Joyner on WJMZ starting on November 2. Today, Entercom Greenville announced the launch of the New 96.3 The Block. 96.3 The Block plays the best hip hop and R & B with superstar Steve Harvey in the morning. 96.3 The Block launched with 10,000 songs in a row commercial free. The Steve Harvey show begins Monday, November 2nd. Steve Harvey is more than a radio personality—he’s a proven brand with unique appeal. From his best-selling books to his movies and his highly-rated TV show, Harvey’s family-friendly humor and deep connection with his audience has made him the gold standard in morning drive urban radio. Steve Harvey has proven to be a magnet for listeners. His TV Show, The Steve Harvey Show, is the top-rated show weekdays on WYFF 4 at 3PM. “I couldn’t be more excited to launch in Greenville, and I truly feel blessed to be a part of the New 96.3 The Block and the Entercom Greenville family” said Steve Harvey. Update 10/16: After two days as Country “Kicks 96.3“, W242BX/WFBC-HD2 Greenville, SC has flipped to Variety Hits “Simon 96.3“. Adopting the name of Entercom’s WSMW Greensboro, NC, the station has duplicated the format heard on SummitMedia’s own translator “97.7 Chuck-FM” W249CB/WJMZ-HD3. Sweepers on the station take some attacks at Simon’s cousin “Charles”, Chuck-FM held a 0.9 share in the Summer 2015 Nielsen Audio ratings. As we reported below, we expect the end result to be an Urban branded “96.3 The Block“. Original Report 10/14: Entercom has launched Country “Kicks 96.3” W242BX/WFBC-HD2 Greenville, SC. The 250 watt translator (Coverage Map) is set to go up against iHeartMedia’s pair of 100kW Country stations: new market leader “Whistle 100.5” WSSL and third ranked 92.5 WESC. Those two stations combined for a 16.6 share in the Summer 2015 Nielsen Audio ratings released earlier this week. But is this just a stunt? The imaging is basic and full of cold segues and the station is mismashing different identifiers. The domain is Kicks963.com, on-air is branded as “Kicks 96” and the logo identifies as “Kick 96.3“. We’ve been monitoring an anonymous registration of 963TheBlock.com for a month and there are social media accounts reserved for that brand. A Hip-Hop oriented Urban on W242BX would flank sister CHR “B93.7” WFBC-FM against SummitMedia’s Urban AC “107.3 Jamz” WJMZ and Rhythmic leaning CHR “Hot 98.1” WHZT. It also seems odd for the website to reference Route 66 (the song). The ONLY reason I think it could end up staying Simon is that a little over a year ago, Entercom filed a complaint against Chuck for copywrite infringement to pull the “We Play Everything” tag line. And Chuck was forced to stop using it. Not sure if Entercom would have forced the issue if they hadn’t planned to enter the variety hits market. But who knows? When Greater Media decided to change the format of the then-talk WTKK-96.9 here in Boston (before eventually launching urban contemporary WBQT), the company had a number of one-day stunt formats on that frequency. That was Rhythmic AC, not Urban, that they settled on. And the stunting thing is probably accurate. Both the Kicks and now Simon were multi-day “stunts”, which is making it harder to predict since stunting typically occurs as short as an hour per format or the one-day stunt like you referenced in Boston. It’s Sunday and still Simon. With flips typically occurring over the weekend, Simon may be the final format. I thought about it some more and Entercom has two stations – Classic Rock 101 and Magic 98.5 – that are likely losing at least a small part of their audience to the other Variety Hits station in the area – Chuck FM and another station, Earth, that has REALLY soared in the ratings in recent books. In fact, I think Earth beat out Magic in the Summer book. Simon seems to be skewing a little older than Chuck. So it definitely could be a buffer for the classic rock and AC stations mentioned, particularly with Earth’s amazing growth. It’s a very weak signal, though, so I’m not sure how much impact it will have. It may be 250W but the placement of the tower it is on may be causing interference in areas that should be well within their range. In any case, I actually think an older-leaning variety hits station would be more useful to Entercom with the current lay of the land than an Urban would be. Entercom’s B93.7 is becoming more rhythmic and is now beating the rhythmic/urban CHR Hot. I just think they have more to lose with Earth’s rise with the other two stations. Simon had a “big announcement” at noon today. And it announced that it was Simon…again. So maybe it is staying variety hits? A source of mine says they played up the announcement because no one seemed to believe that the Simon flip was final. I still am not sure if I’ll believe it for another week or so. While one can expect 96.3 The Block to do well, they should’ve picked someone else other than Steve Harvey for mornings, given his history with R&B/Hip-Hop station playing Hip-Hop songs he feels uncomfortable with.